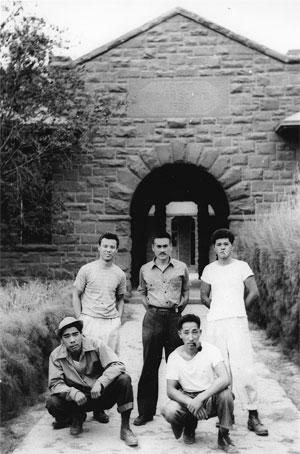 Inmates at Old Leupp isolation camp outside the old boarding school, 1943. 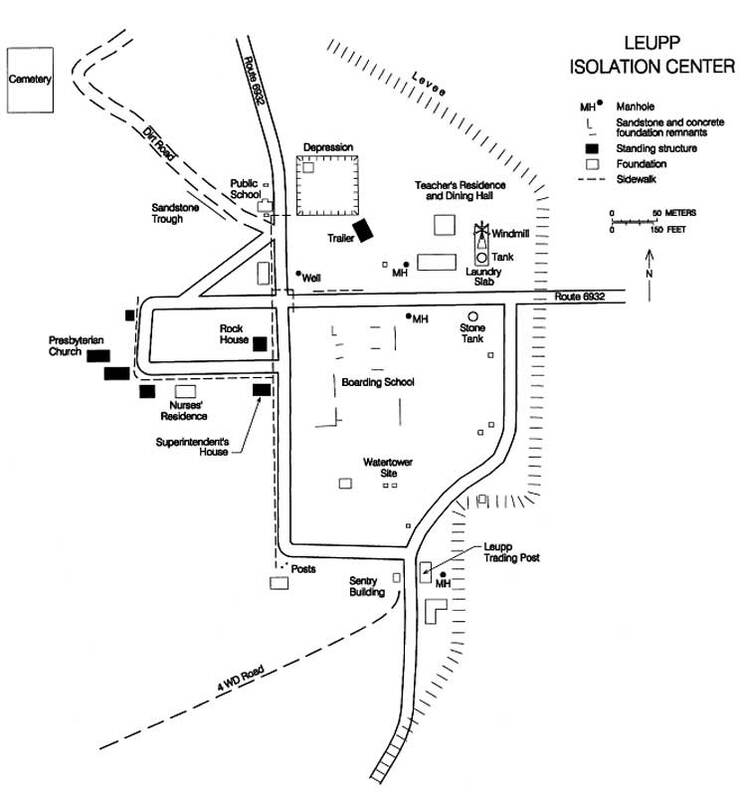 Leupp isolation center was open slightly longer than Moab, from 27 April 1943 until 2 December 1943. 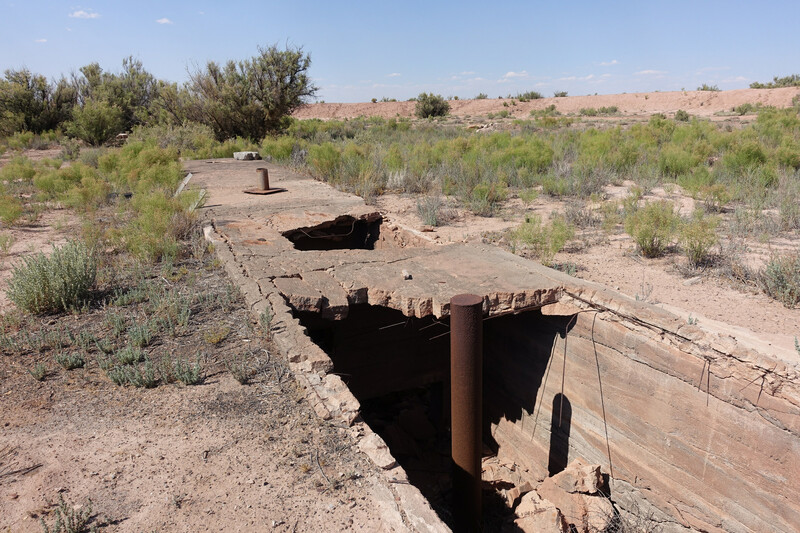 It housed over 70 inmates at its peak, when the detainees from Moab were joined by inmates from Tule Lake (California) and Topaz (Utah). 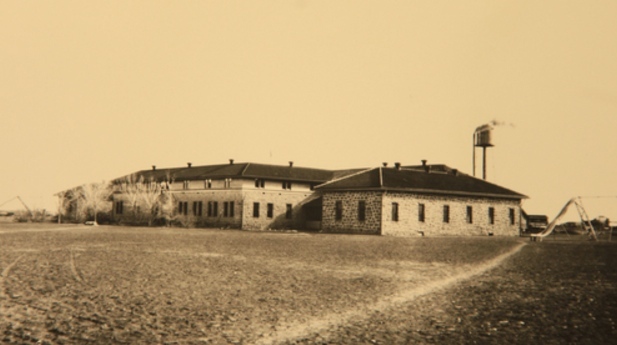 When it closed, the 71 remaining inmates were transferred to the incarceration center within the Tule Lake Internment Camp in far Northern California. 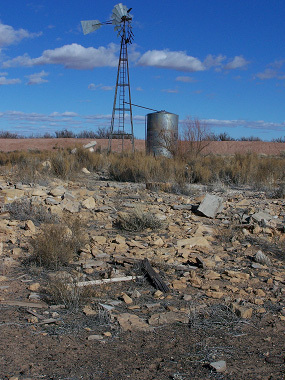 Claudia Katayanagi has recently completed a documentary called “A Bitter Legacy” about the internment which has a considerable focus on the Leupp isolation center. 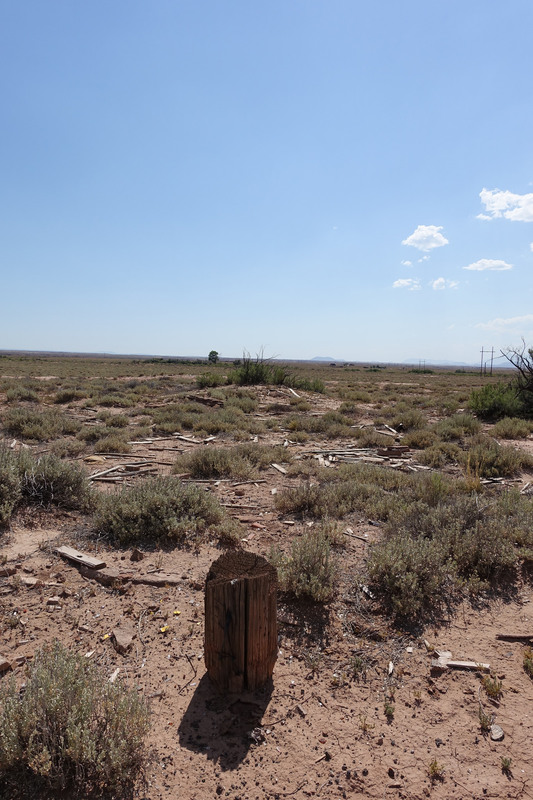 The fact that my wife and I drove through the Navajo Nation Reservation and the Hopi Reservation from the north to get to Leupp was not lost on us. 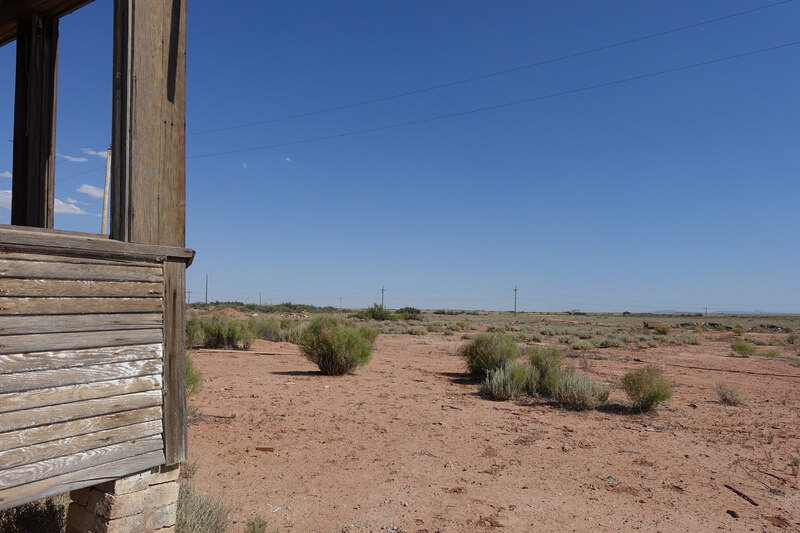 Leupp is on Navajo land and the connection between Japanese-American detainees and members of the Navajo Nation has been observed by others. 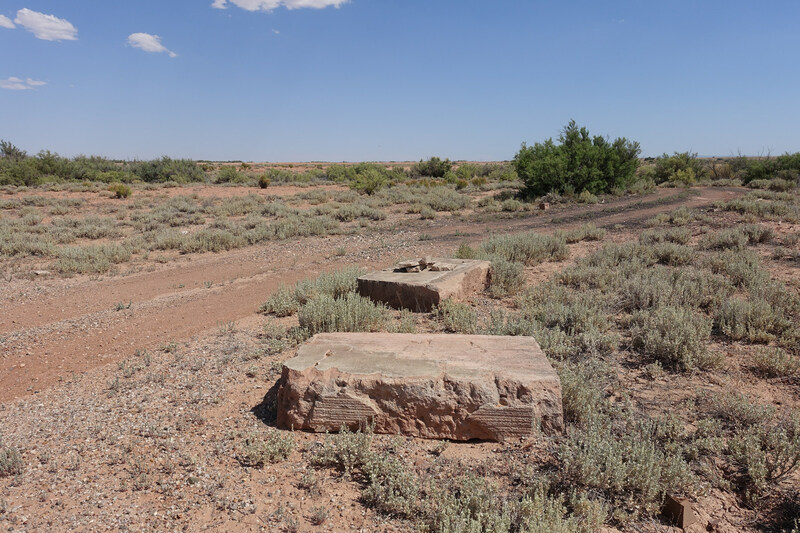 There are no permanent or temporary markers identifying the site of the Leupp Isolation Center and only a few buildings, like the Superintendent’s House and Presbyterian Church, remain. 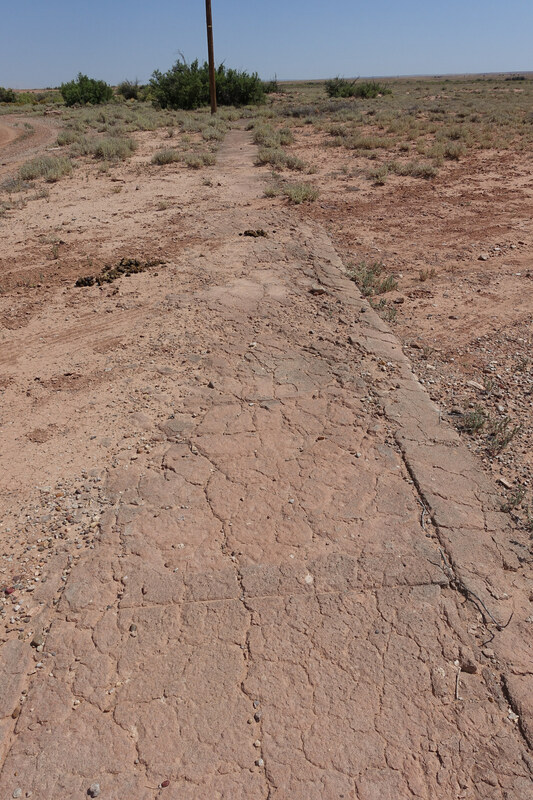 Using the map provided in the National Park Service book Confinement and Ethnicity (reproduced below) we were able to find the site by orienting ourselves to Indian Route 6932 running north/south and the levee to the east. 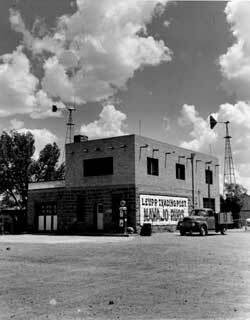 In reflecting on the experience recently and looking at Google maps of the area, it dawned on me that there is no river to the EAST of the levee. 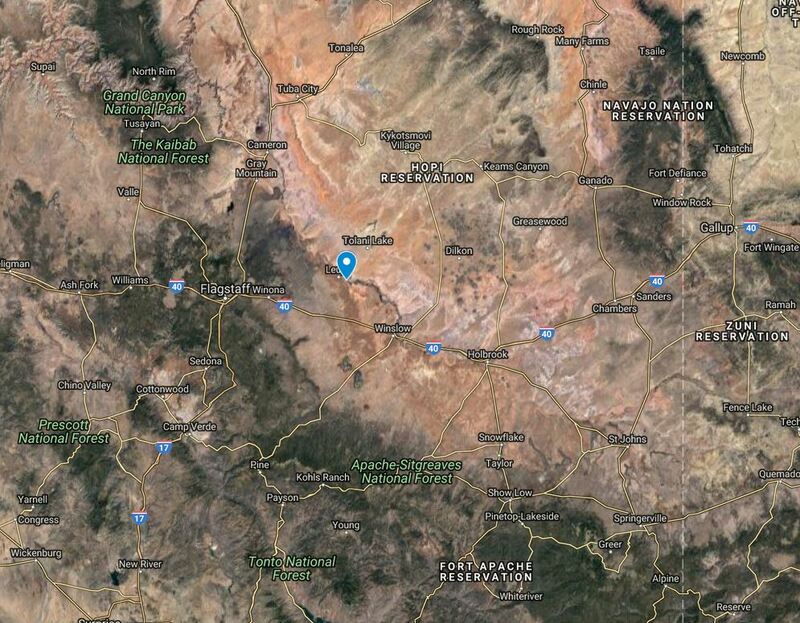 The isolation center is to the WEST of the levee, and WEST of the isolation center is the Little Colorado River. 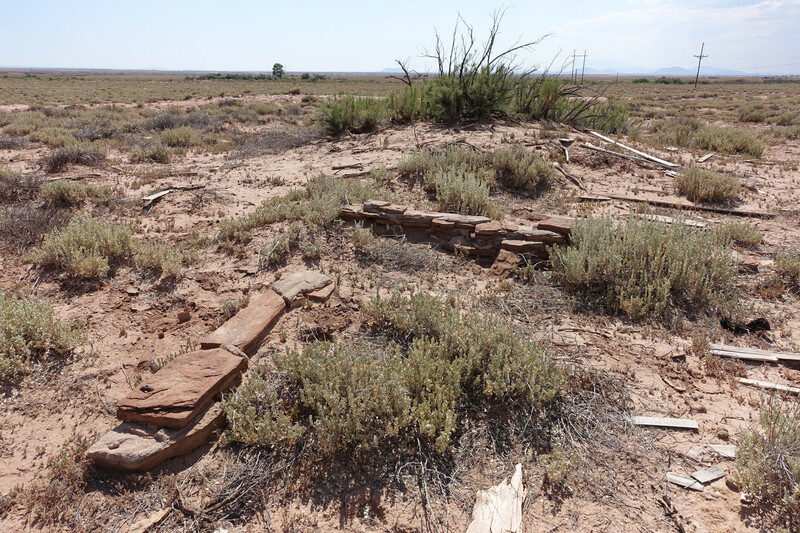 So, the isolation center clearly lies in a flood plain, and it turns out that is one reason the original Indian boarding school was closed. 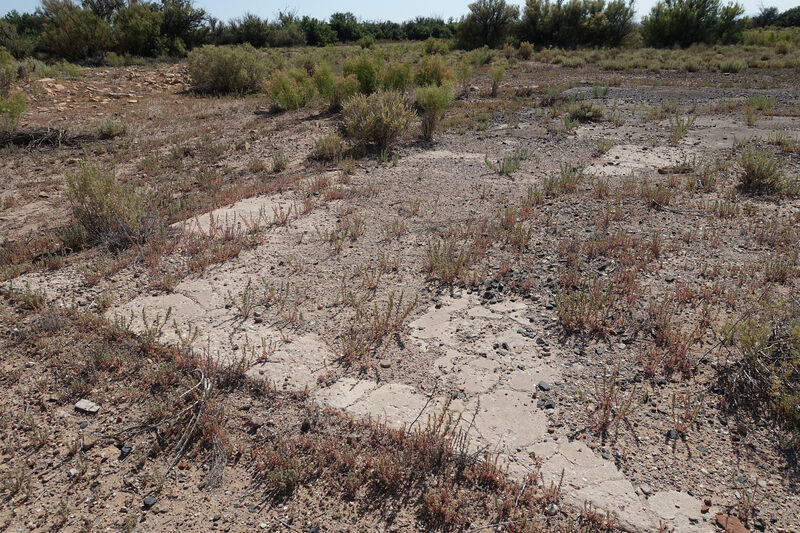 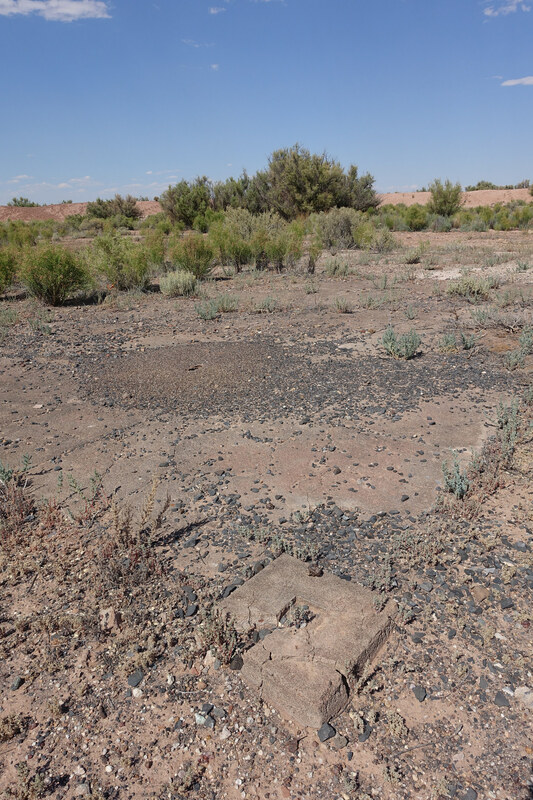 The parts of the site that were actually used to house the inmates — I am guess this is the area marked as “boarding school” on the map near the watertower — have been cleared so that little evidence of its existence can be found. 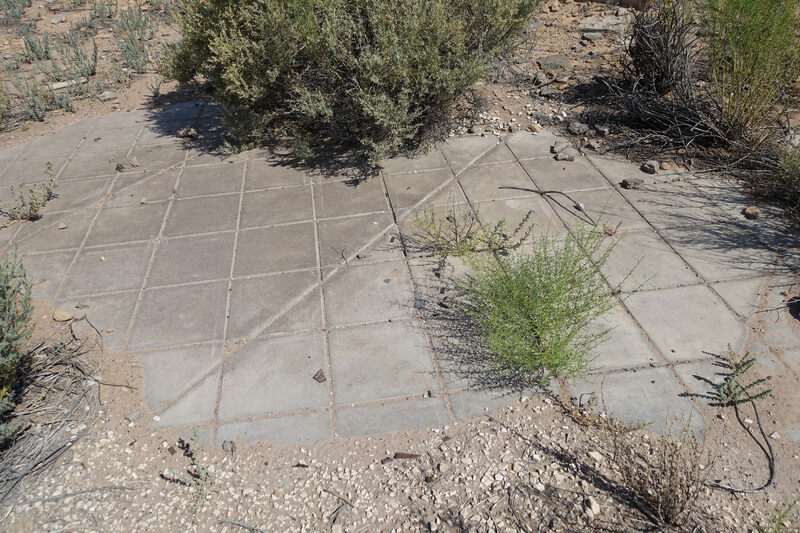 We were able to identify the foundations for the teachers’ residences and dining hall near the windmill. 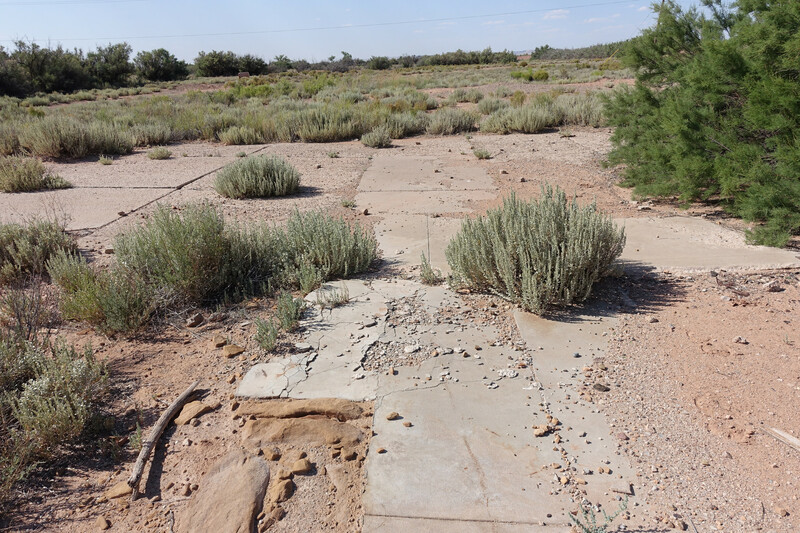 Although it’s not clear whether the nurses’ residence behind the Superintendent’s house was used for the Luepp isolation center, the remains give a distinctive feeling for the condition of the site. 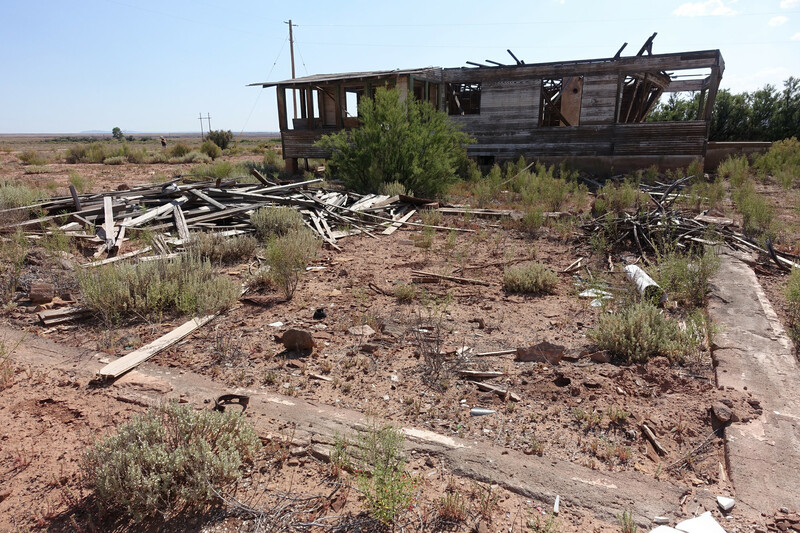 The view from the remains of the nurses’ residence conveys a sense of what the inmates would have seen during their time at Leupp isolation center.